On Sunday morning, Philip Pritchard, the keeper of the Stanley Cup, revealed the engraved named for the 2015 Stanley Cup Champion Blackhawks. I think that it is very cool that this is still done by hand. You can tell by how the letters are not all correctly in line. To me, that is just COOL. The game itself is not perfect, the players are not perfect, therefore, the trophy is not perfect. I can live with all that. I laughed out loud at Cumiskey. Good good. 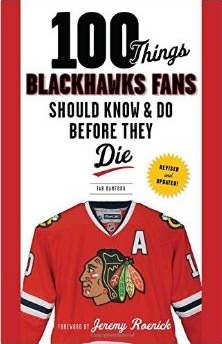 Nice to see Daniel Carcillo on there. Nice end to his career. That was quite the team to get through the Ducks and containing the Bolts plus overcoming a very bad start with the Preds in short order. A team of destiny for sure. Very tough to repeat in the Cap Era but we have a formidable bunch and many are real fresh and highly skilled. If any one team could do it, it is this one for sure. Surprised that Clint Reif’s name isn’t included? So how many times is it now for Scotty? Unfortunate that Clint Reif didn’t make it onto the cup, but glad that they got Kris Versteeg’s name spelled right the first time this time. Clint Reif’s name isn’t on the Cup but his family will receive a ring from the organization. Just seeing his name on the cup gives me a warm fuzzy feeling. Looks like they had to double strike the “B” in blackhawks. Didn’t notice any errors. I like its done by hand as well. 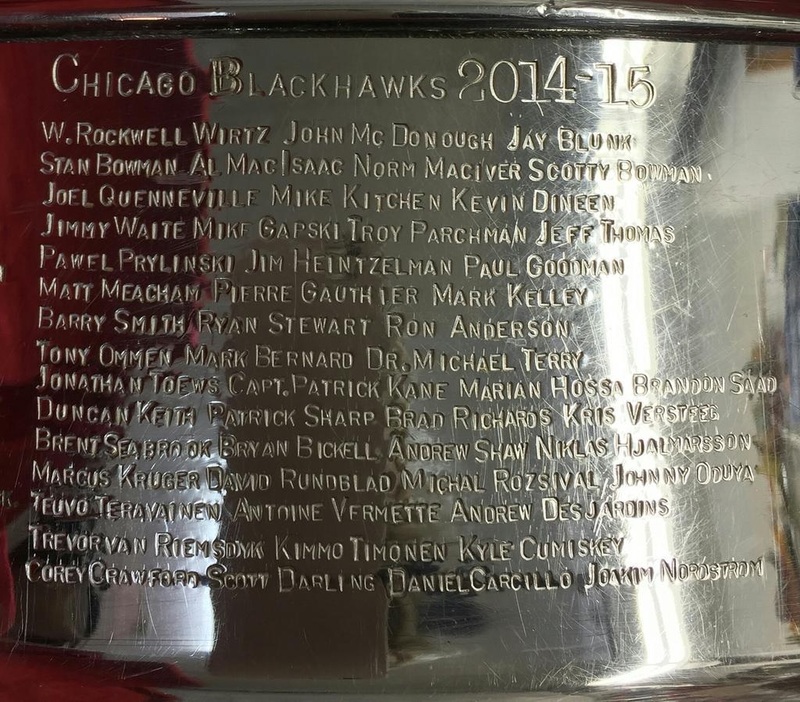 Apparently they petitioned to get Carcillo’s and Nordstrom’s name on the Cup. Interesting to note Raanta is not on there. With the Clint Reif situation, that’s kind of a tough call, but nice / classy the family is getting a Cup ring. Very sad story. I guess Raanta should not have openly cheered against the Hawks. How is the order/sequence of the player’s names determined? Anyone know? Depends on team I believe. Captains are always first. I’ve seen it go alphabetical, But it looks like the Hawks went for regular season points. 2 players who didnt qualify were placed on the list (Carcillo and Nordstrom) And 1 goalie who dressed for 54 games was left off. (Raanta) Had no idea he dressed for that many.